These low CD apothecary cabinets may be used for very special looking coffee tables. 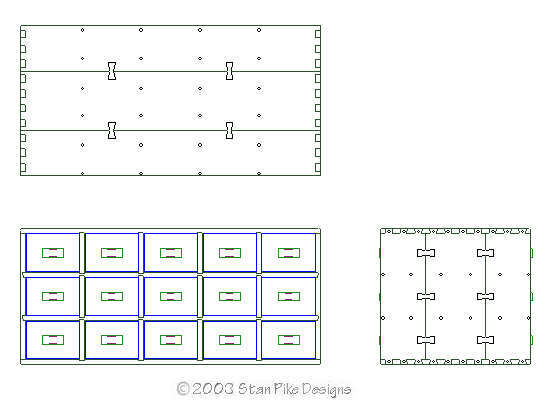 Cabinet depth/ table width is made to order. Scroll down to see the designs. 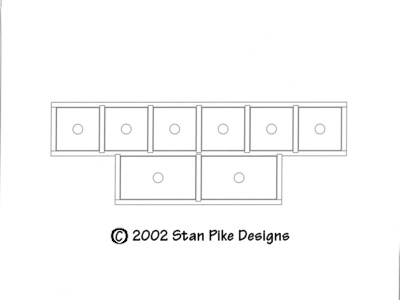 9-drawer CD storage unit on a table/ stand W=45 1/4" x H=15 1/2" Cabinet holds approximately 360 CD's. 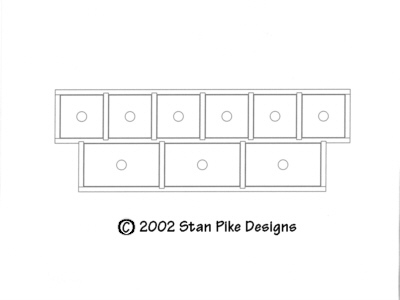 8-drawer CD storage unit W=45 1/4" x H=15 1/2" Cabinet holds approximately 300 CD's. 7-drawer CD storage unit W=45 1/4" x H=15 1/2" Cabinet holds approximately 300 CD's. This is a 15-drawer DVD storage coffee table/ chest. These coffee table cabinets may be constructed of any of the standard hardwoods although I prefer the light look of ash as well as it’s durability. Oak and cherry also work well. The drawer fronts may be of the same wood or of contrasting varieties including high quality pine. The drawer sides and backs are usually made of high quality pine and the drawer bottoms of poplar or aromatic red cedar for a small additional cost. As in all other cabinets, all surfaces, inside and out are finely sanded and finished with a special urethane and oil mixture, then waxed to a smooth feel. The drawers are finished to perfection, allowing them to slide freely with an almost airtight fit. Of course, although the drawers are sized to fit CD Jewel case dimensions, they may also be used to hold many other items as well. If they are not intended fore CD storage, the drawers may be made larger to accomodate other items.